Estate planning allows you to direct what will happen to your assets before and after you die. No one likes to think about that part of the future. But for the sake of your loved ones, you must. By planning your estate now you will save your loved ones time and money in the future. Using a living will, trust, or other document puts in place a procedure for your wishes to be followed even if you have been incapacitated or have died. If you want sound advice on how to plan your estate, talk with the experienced attorneys at The Burbank Firm, L.C.. We can help you create a plan that suits your needs. Contact us to schedule a free initial consultation. From our office in Burbank, we serve clients throughout the San Fernando Valley. Our attorneys have the experience to guide you through the process of creating an estate plan that fits the needs of you and your family. For example, we can tell you when putting property in joint tenancy is the best option and when a trust is in order to avoid probate. Minimizing or avoiding estate taxes is also an important factor, because an estate can pay a tax starting as high as 45 percent. We can devise a plan to minimize these taxes, so that your money goes where you want it to go. Not all estate documents have to do with a person's death. Often, these documents serve as a guide for when a person can no longer speak for himself or herself. Living wills express a person's wishes concerning decisions that must be made if he or she becomes incapacitated. Powers of attorney and medical powers of attorney give someone else — usually a spouse or other relative — power to make decisions on a person’s behalf in an emergency. 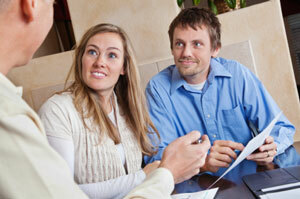 Contact an estate planning attorney at The Burbank Firm, L.C. for an initial consultation about estate planning.